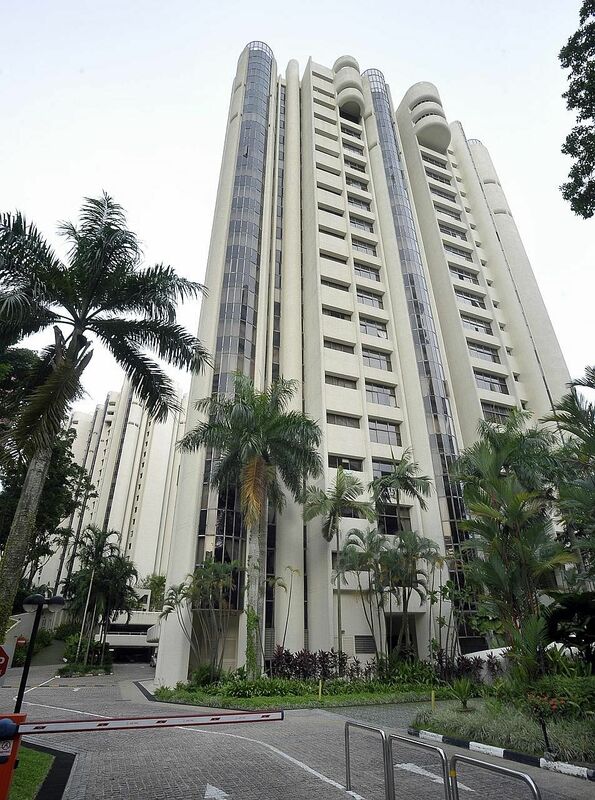 Horizon Towers, among the contenders for Singapore's largest collective sale last year, has relaunched for sale by tender for a second time at the same reserve price of $1.1 billion. The tender closes on Jan 28 at 3pm. The 211-unit, 99-year leasehold condominium in the prestigious Leonie Hill area first launched for sale just before the July 6 cooling measures were announced, and the tender closed without a bid on Sept 12. "We have time for another tender before the collective sale agreement expires in May," said Mr Tan Hong Boon, regional director of marketing agent JLL. "Should there be any offer at the close of tender at a lower price than the reserve price, the collective sale committee may call for an extraordinary general meeting (EGM) for owners to consider the offer. If agreed at the EGM, at least 80 per cent of owners must sign a supplemental agreement to lower the price," he added. At $1.1 billion, owners of the 200 apartments could receive between $4.7 million and $5.2 million each, while owners of the 11 penthouses could each reap between $9.2 million and $10 million. The reserve price translates to a land rate of about $1,977 per square foot per plot ratio (psf ppr) after factoring in the lease top-up premium estimated at $228 million. We have time for another tender before the collective sale agreement expires in May. MR TAN HONG BOON, regional director of marketing agent JLL. As the site is located within the Central Area, it is not subject to an average unit size of 85 sq m, which allows the developer to build smaller units and keep the quantum palatable for potential buyers. "As the site has a high development baseline, currently there is no development charge or differential premium for the intensification of the site even for the 10 per cent bonus gross floor area," said JLL. The 1.9ha District 9 site, located near the upcoming Great World MRT station and the Orchard MRT Interchange (Thomson-East Coast Line), is zoned residential in the 2014 Master Plan with an allowable height of up to 36 storeys. It has an "as-built" gross plot ratio of around 3.28. "As the site is located within the Central Area, it is not subject to an average unit size of 85 sq m, which allows the developer to build smaller units and keep the quantum palatable for potential buyers," JLL added. Last October, the Urban Redevelopment Authority - in a bid to manage potential strain on infrastructure - revised guidelines to reduce the maximum number of units allowed in new private flats and condominium developments outside the Central Area. The maximum number per development will be the proposed building gross floor area (GFA) divided by 85 sq m. It is currently GFA divided by 70 sq m. The revised guidelines will apply to new applications for private non-landed residential developments after Jan 17.